97.5 Lip Sync Battle at Tequila Cowboy! So you think you can lip sync? Then prove it! Show us what you got at the 97.5 Lip Sync Battle at Tequila Cowboy. We're running a weekly competition there every Wednesday college night from 10 p.m. to midnight for 10 weeks straight. There's $500 in prizes each week! Winners are determined by audience applause. Third place wins $50 in cash and $50 in Tequila Cowboy gift certificates; second place wins $75 in cash and $75 in Tequila Cowboy gift certificates; first place wins $125 in cash and $125 in Tequila Cowboy gift certificates. There are only 13 spots in the competition each week. You can start signing up for the lip sync battle at 9:30 p.m. each Wednesday at Tequila Cowboy in the Lansing Mall. Ten spots will be filled this way.  An additional three spots in the competition will be awarded each week via 975now.com. If you want one of these three guaranteed spots all you have to do is submit to us a short video of yourself/your group lip syncing. Videos must be 30 seconds or less. Upload your video to YouTube then send us the link and your information in the form below. We'll take your submissions and put them up for a vote. The top three vote-getting entries will be guaranteed entry into the lip sync contest weekly. Please note you can only win one of these guaranteed spots once--but you can enter each week until you do win! This is a great way to make sure you're in the contest in a given week in case all the spots are already taken when you get there. The 97.5 Lip Sync Battle at Tequila Cowboy will also have a semifinals and finals to be determined at a later date. The top three finishers win big prizes: third place wins $500 cash and $500 Tequila Cowboy gift certificates; second place wins $750 cash and $750 Tequila Cowboy gift certificates; and first place wins $1,250 cash and $1,250 Tequila Cowboy gift certificates. The first lip sync battle happens on Wednesday, March 2. Tell and bring your friends! The more the merrier with lip sync!